Ryan is managing partner of the firm. He handles high-stakes litigation with a focus on business disputes, government contracts, and construction law. He also serves as local counsel in the Eastern District of Virginia in patent and other intellectual property cases. 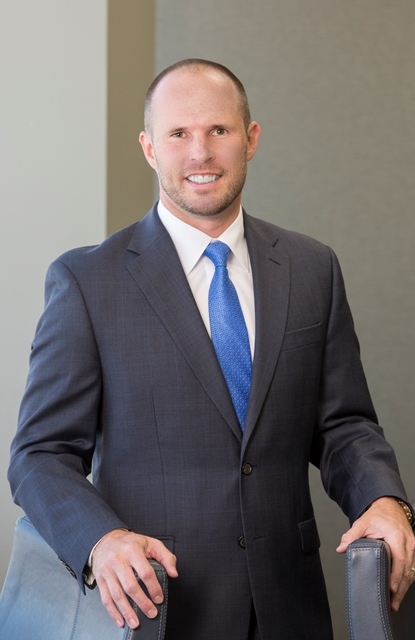 Ryan’s experience includes state and federal jury trials, mediations, panel arbitrations, and appeals. His cases involve business conspiracies, technology disputes, indemnity claims, injunctions, franchise disputes, arbitration demands, bond claims, and antitrust actions, among others. Ryan successfully argued one of the seminal constructive trust cases in the Virginia Supreme Court and was co-counsel in one of the largest patent cases tried to jury verdict in Norfolk federal court. In 2017, he defeated ten counts in a publicized federal franchise trial and won judgment on multiple counterclaims. Ryan is listed in Best Lawyers in America® and has been selected a Virginia Legal Elite in four categories. He was named one of the Top 100 lawyers in Virginia in 2014 by Virginia Super Lawyers. He is a Fellow of the Litigation Counsel of America and past Chair of the Construction & Public Contracts section of the VBA. Landfill Gas Holdings, LLC v. Cube MAS Holdings, LLC, AAA Case No. 02-18-0001-9169. (Panel arbitration involving sale of multiple landfill gas energy projects). Appeal of Norfolk Dredging Co., ASBCA No. 61071 (equitable adjustment case in Board of Contract Appeals involving USACE dredging project). JTH Tax, Inc. d/b/a Liberty Tax v. Aime Consulting, LLC, et al., 2:16-cv-279, E.D.Va. (franchise case resulting in $2.7 million verdict after 3-day trial; affirmed in part and reversed in part on appeal) (Morgan, J.). Carter Machinery Co. v. Lakeshore Toltest Corp., CL14-6599, York Cir. Ct. (multi-faceted mechanic’s lien suit with associated Delaware bankruptcy case). Oasis Brands, Inc. v. Green Innovations Ltd., 2:13-cv-529, E.D.Va. (trademark case involving challenge to jurisdiction in Virginia) (Jackson, J.). Norfolk & Portsmouth Belt Line RR Co. v. South Norfolk Jordan Bridge, LLC, 2:13-cv-234, E.D.Va. (indemnity case arising out of bridge collapse) (Jackson, J.). Segin Systems, Inc. v. Stewart Title Guaranty Co., et al., 2:13-cv-190, E.D.Va., PTAB, Fed. Cir. (patent infringement case accusing account reconciliation software) (Jackson, J.). Virginia Innovation Sciences v. Samsung Electronics Co., et al., 2:12-cv-548, 2:13-cv-332, 2:14-cv-217, E.D.Va., PTAB, Fed. Cir. (series of patent infringement cases involving mobile devices) (Davis, J.). Carter Machinery Co. v. Martin Constr. Group, LLC, et al., CL-12-3703, Chest. Cir. Ct. (successor liability trial piercing shell company to reach LLCs). St. Joe Company v. Norfolk Redev. & Housing Auth., 722 S.E.2d 622 (Va. 2012) (constructive trust case recouping funds seized by secured creditor). I/P Engine, Inc. v. AOL, Inc., et al., 2:11-cv-512, E.D.Va. (patent infringement case accusing search engine advertising) (Jackson, J.). Norfolk 102, LLC v. Waterside Assoc., L.P., et al., CL-11-3414, Norf. Cir. Ct. (commercial lease case seeking multi-party injunction). Misener Marine Constr., Inc. v. Norfolk Dredging Co., 594 F.3d 832 (11th Cir. 2010) (marine construction case based on mooring structure failure). Mullins v. River Docks Corp., et al., 4:10-cv-138, E.D.Va. (warranty case arising out of remanufactured marine engines) (Smith, J.). Norfolk & Portsmouth Belt Line RR Co. v. Wilson, 667 S.E.2d 735 (Va. 2008) (FELA case asserting close clearance injury). Represents business clients in complex contract cases, business conspiracy cases, business interference cases, intellectual property cases, technology disputes, commercial lease disputes, antitrust actions, declaratory judgment actions, injunctions, mediations, arbitrations and others. Represents construction clients, owners and sureties in contract negotiations, teaming agreements, installation and design defects, mechanic’s liens, payment and performance bond claims, change order disputes, differing site condition claims, indemnity actions and others. Represents government contractors in contract drafting, business structures, teaming agreements, protests, change orders, equitable adjustments, litigation, appeals, cybersecurity and others. Represents maritime clients and railroad interests in marine construction cases, cargo cases, limitation actions, vessel arrests, MARPOL investigations, riparian rights disputes, property disputes, preemption cases, FELA cases, ICCTA challenges and others.